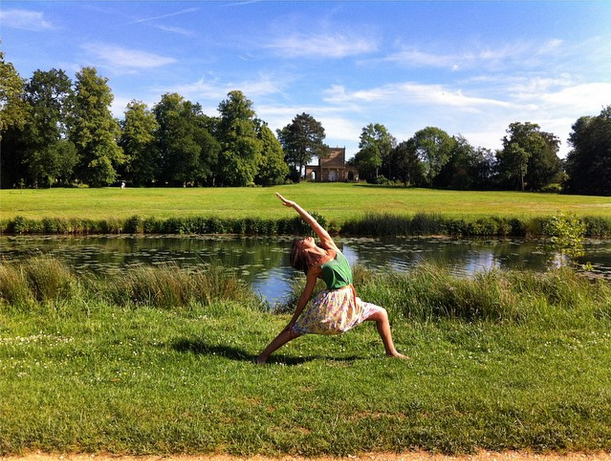 I’m quite open about my journey with anxiety and panic attacks spurring my journey to yoga. I tend to gloss over the “gory details” though. the self loathing, self harm and abusive self criticism. …the inability to leave the house or room, preferring the dark misery and safety of a familiar space. the hypochondria and paranoia at the slightest ailment that had me returning to the doctor relentlessly demanding every kind of scans and test. the obsessive weighing, starving, exercising, purging misery of an eating disorder. the drinking to numb the pain and denial. And now? Now I feel lucky to appreciate surviving. It sounds dramatic, but I realise it was dramatic and instead of hiding it away in shame, I feel the value of owning my story, and using it to help others. For years I didn’t have a panic attack, I felt free – clean – for 10 years. Then the death of two friends this summer triggered a return of anxiety with a vengeance. I shut down and became vacant. Scared. A nervous wreck. I understand now that breakdown – loosing the light or drive or ability to feel hopeful – took me back to those years. Like being trapped in a prison of my own mind and misery. It frightened me and I didn´t know how to cope. All my techniques were out the window. Breath. Visualisation. Centring. Gone. I feel so lucky I had support from my wonderful husband and my parents and close friends, and I’m so grateful for that. With time, and with gentle steps, I started being able to leave the house again, each time feeling the anxiety decrease. And so, my confidence increased. To venture further from home. The real test was my return to Bergen this August. Up until the day before I wasn’t sure I could get on that plane. But a meeting with a friend gave me so much strength (thanks Bianco) that I bluffed my way into doing it. Luckily all was well. And since then there´s been no panic attacks. I’m grateful. But not assuming or taking for granted that its ever far away. Instead I accept that this might be something I work on. forever perhaps. This anxiety and hypochondria and fearing the feeling of losing control unbearable to be with at times, but I work on it. I’m always in a process of healing. Aren’t we all? The impending feeling of doom in a spin of panic or anxiety is difficult to convey. Once the overwhelming feeling of “i´m dying” subsides, the feeling that “I’m crazy” creeps in and ignites fear. But then I meet others who are moving through a similar journey and realise that there is tremendous strength in vulnerability. My sensitivity was something I used to be ashamed of, but now I embrace it. It´s powerful and enables me to read and sense and feel more. I chose to teach because I wanted to share some techniques that others might use to help themselves feel better. I hope that by teaching I might inspire and reassure others who are struggling that they can empower themselves. At the same time I’m ever the student. Exploring, learning, surviving. We should take pride in ourselves for making it this far. To anyone suffering, you can feel better and find ways to manage this illness. You deserve to feel better and to be supported compassionately. Don’t be afraid to keep seeking ways to feel better. This entry was posted in peace, sound advice and tagged agoraphobia, anxiety disorder, beta blocker, breathing, childhood trauma, coping with overwhelm, depression, eating disorder, feel better, haunting memories, hypochondria, panic attacks, panic disorder, self loathing, survivors, visualisation. Bookmark the permalink.